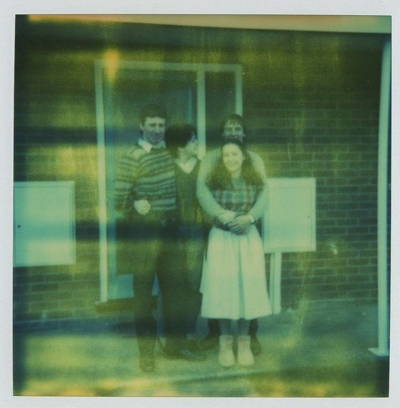 This photograph of me, my brother and our wives was taken using a Polaroid camera in 1985. Actually, as it was the day of our wedding, strictly speaking my wife was actually my fiancée at the time. I knew back then than Polaroid photographs would keep developing over time, and would eventually become too dark to see. I didn't know they'd do it in such a striated manner. It's probably something to do with the roller that pushed it out of the front of the camera. Memories fade over time, too, but at least with those you can refresh them to arrest the process.